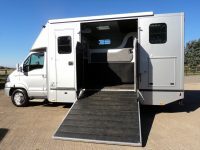 3 Seater & 5 Seater Horseboxes available to hire today! No additional charge for cleaning the horsebox after use. 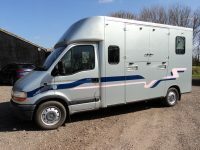 Minimum horsebox hire only one day! Please note we do not insure your horse. Please make sure your horse is insured for travel and has a passport, we will also need to see your passport for identification. All vehicles are supplied with a full tank of diesel and we will expect them back with a full tank.